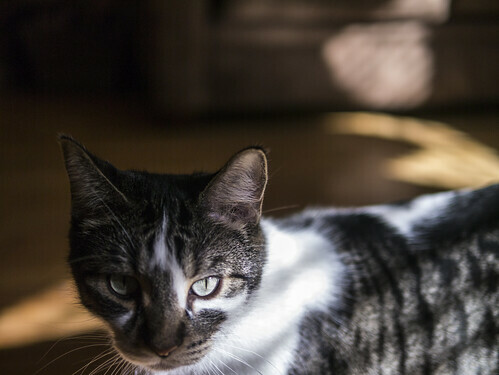 I don’t want to take up too much of your time, but I’d just like to say that on the long end of a fall Sunday morning, when the light is low and warm all day, my cat paused in a striped bar of sunshine and looked at me. The moment, the cat’s gaze, the pause that suspended the morning, was all mine. But I had my camera in my hand and now it’s yours too. Don’t be too pleased about it, though. I think the cat stopped because he had to fart.